Join us each Friday at 7pm or 8pm for our weekly planetarium show. 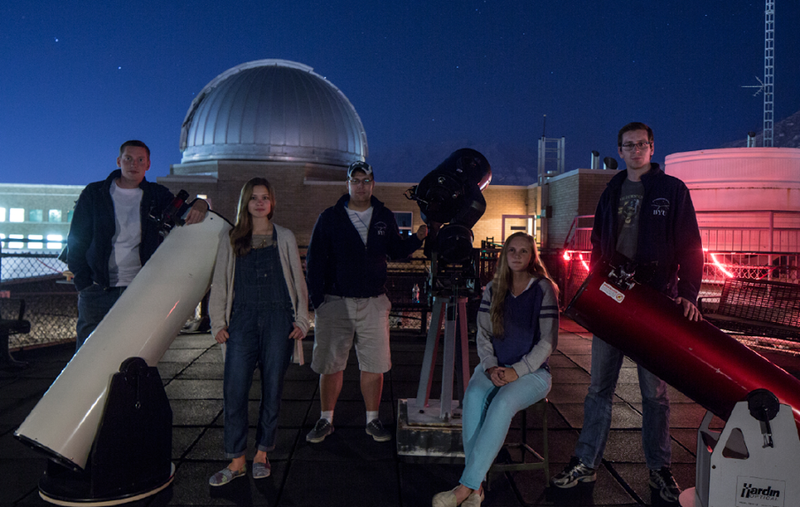 The Brigham Young University Astronomical Society is a student-run organization under the direction of the Department of Physics and Astronomy. We present Friday Night Planetarium shows in the Royden G. Derrick Planetarium located in the Eyring Science Center. In addition to weekly shows we host monthly star parties in the mountains east of Provo and other outreach and educational activities. Membership in the society is open to anyone with an interest in astronomy, stargazing, planetariums, telescopes, or staying up late. For membership information, see our membership page. Our Fall 2016 Opening Social: Thursday 22 September 2016 at 7:00pm in the Eyring Science Center Planetarium (C465 ESC).